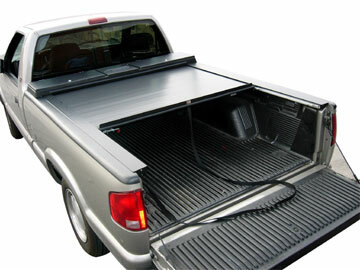 Bed covers are one of the most practical and useful items for any pickup truck. And the fine folks at Precision Audio in Bainbridge and Thomasville are experts in all the different brands and styles of bed covers. Have you ever been hauling something in the bed of your truck, only to get caught in inclement weather? Or maybe you have had someone steal something out of your bed while it was parked. A bed cover would solve those problems for you. Here are the most popular styles of bed covers on the market today and the differences that set them apart. This article is designed to help you in making an educated decision about your bed cover purchase with us. Soft or vinyl bed covers are what started the market decades ago. 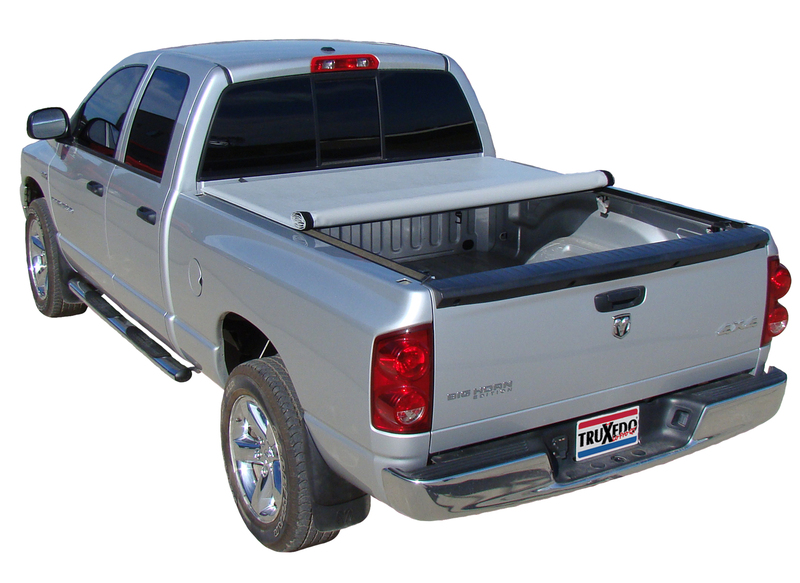 What began as a black vinyl cover that snapped onto the side of your pickup bed has morphed into covers that attach to rail systems that are designed to be easily removable as needed. The biggest advantage of a soft cover is pricing. If you’re looking to give your cargo some protection from the elements and to keep prying eyes from knowing what you are hauling, this may be the cover for you. The most popular style is the rollup design. 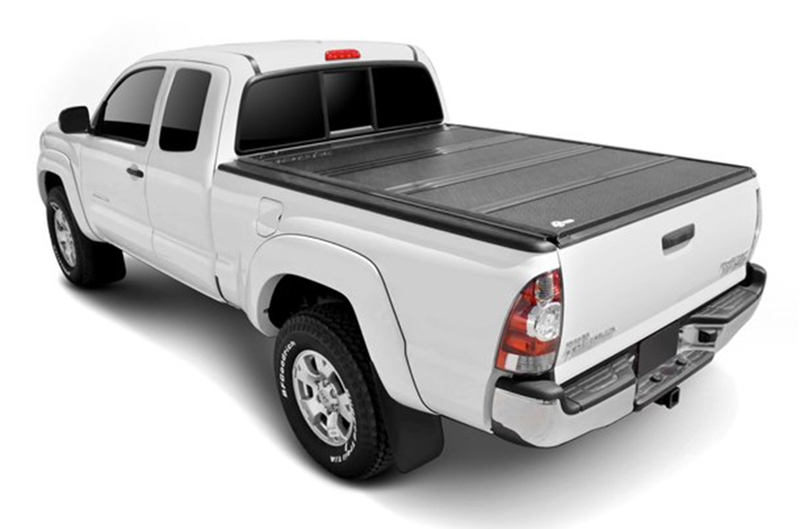 When you want to open the bed cover, you simply open the tailgate, pull a release handle and then roll the cover toward the cab. The cover can be stored in that position with the supplied straps. 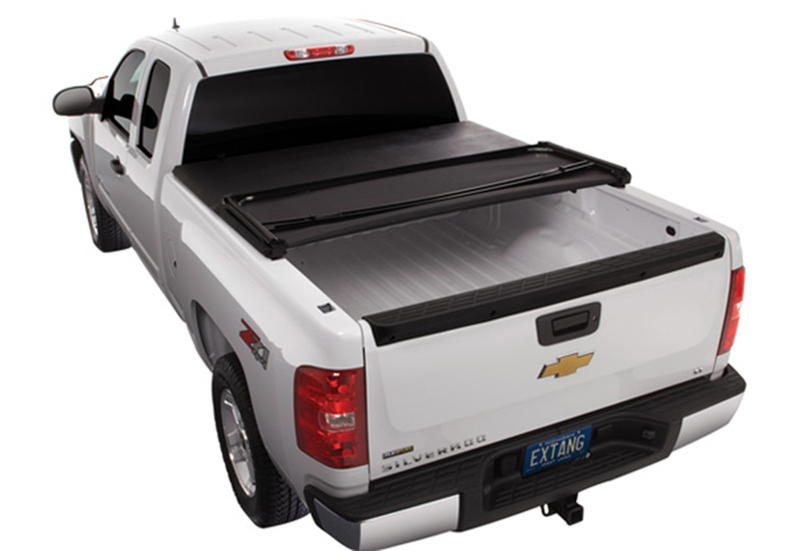 In more recent years, soft covers have become available in a hinged design that lifts up from the tailgate side, and a folding bed cover that is completely removable. These last two styles get their design elements from the hard covers discussed below. The major downside to a soft cover is security. A razor blade or pocket knife is all that is needed to slice through and get access your cargo. And while they do a pretty good job of weather protection, they are not in the same league as hard covers. Hard or solid bed covers are far and away the most popular style on the market today. In the early years, they were one-piece designs made of fiberglass that hinged up from the cab side of your bed. They were extremely effective in protecting your cargo, but very heavy and hard to remove and reinstall. It was surely a two-person task. In more recent years, these covers began showing up in composite materials that are much lighter than fiberglass, so removal and reinstallation became much easier. The advantage of this style cover is greater protection from the elements and security. The downside of this cover is limited bed access from the side or front of the bed. And, if you need to use your whole bed, you have to remove the cover, which may not be an option for you at that particular moment. This led to the creation of folding bed covers. In simple terms, imagine the one-piece cover made into three panels, making it much more manageable. Some of these covers can even fold up against the rear glass of the cab, giving you full bed access. They still offer very good security for your cargo, as well as good weather protection. For many people, the cream of the crop in hard bed covers is the rollup style. A small canister gets mounted inside the bed, up near the cab, and it holds the cover when retracted. When you want to close the bed, you simply pull it toward the tailgate and lock it closed. Another neat feature of these covers is the ability to lock them in almost any position between fully open and fully closed. Rollup covers are the most convenient to use on a daily basis. They do a great job of protecting your cargo from theft and the elements. The downsides are that the small canister does take up some of your cargo space, and these covers are the most expensive to purchase and install. But if you want the best bed cover available, this may be the one for you. We also offer expert installation on all of our bed covers. Our highly skilled installation department will take the utmost care of your truck while it’s in our possession, and you can rest assured that the quality of your installation will be topnotch. We never cut corners or take the easy way out, because our reputation depends on the quality of our workmanship and customer service. Here at Precision Audio, we spend significant resources of time and money each year to find our customers the best-value, highest-performance bed covers on the market today. Our attention to detail and focus on exceeding our customers’ expectations have kept us in business since 1987. We invite you to stop by our facility with your truck and let us show you our vast selection of bed covers and other useful accessories for your truck. You can also contact us here for more information about any of our products and services.